I use this to seal all of my pieces. It protects my piece and gives it a beautiful finish. I love that it’s water repellent and easy to clean the piece once it’s dry. Doesn’t show brush marks, no matter what color I paint it over. Absolutely love this product. I am truly a novice when it comes to painting - anything! I had a butcher block countertop installed in my laundry room, and I had previously had it stained with an oil stain. I was uncertain how to protect the finish and didn't want a poly finish. Gator Hide to the rescue! This stuff was super simple to apply with the blue sponge applicator that I purchased from Dixie Belle! I applied three thin coats, and it came out beautiful! It has a very low sheen and yet is protected from water spills! 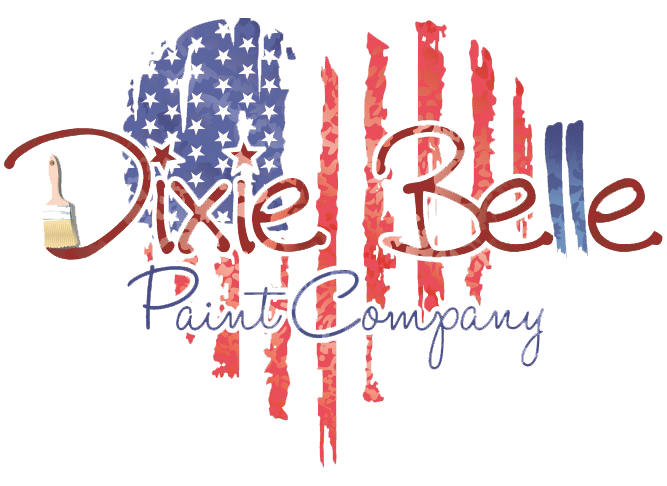 I can't wait to try out other products from Dixie Belle! I used this product as a finishing coat over the top of Caviar chalk paint on my front door to provide a lasting barrier against the weather, and children - hah! It turned out beautifully. So pleased! Will be ordering from you again!!! Wow!! I have used many top coats on many pieces of furniture but this stuff is the best I’ve ever used!! Gives a beautiful, strong top coat. I will never use any other product other than gatorhide from now on!! Thank you Dixie bell!! This was my first time using Dixie Bell products and I was very impressed. I refinished a bathroom vanity and applied Gator Hide as a water resistant top coat. the product suggest application with a sponge which I did on my first coat. I noticed a few "drips" however and decided to use a brush for the second application which I feel came out better. Product provides a nice, hard finish with just the right amount of shine. I have an old, and I mean VERY old, desk that was in extremely FRAGILE condition. The edges were raw and worn down looking much like it was ready for the trash (that is what my husband said when he saw it). We painted it with black spray paint first, then three coats of Savannah Mist (which is a beautiful, soft color)! The we sanded down to the black paint layer in several areas. Then we applied three coats of Gator Hide, and it is simply beautiful! Now it is ready to become my cash-out table in our new store. Gator Hide made a difference in the durability of the table. Love, LOVE, LOVE that Gator Hide!! !